Community Blog by Lenigod // Playstation windows Vista. Something something Vita. I've had a vita for about half a year now, and I was gonna do some sort of, review? of the vita...but I couldn't put it to words without sounding lame and pretentious soooooo....this isn't a review or like a first look. here's just some thoughts about the vita. 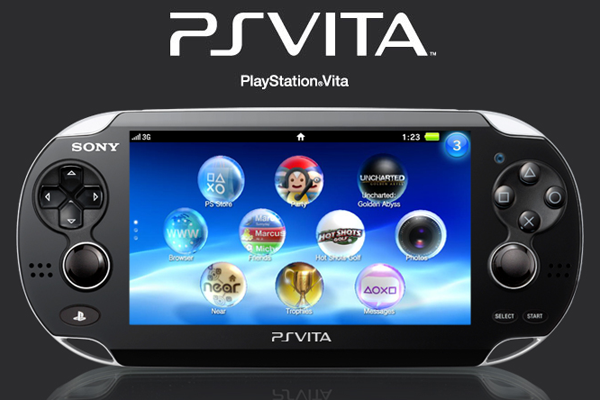 The playstation vita is a game system that plays games. Made by Sony, this is their second whack at the handheld market and boy is it awesome. Like waffles after a night of drinking the Vita is something I constantly find my self reaching for day after day. With the Wii U and 3Ds both in my grasps I've found my self still gravitating to this device above the others. But Why? First is the hardware. More powerful then the 3DS and it shows. It's so fast. It's sooooo fast. While playing a game, you press home and you're there instantly and can navigate to the store lightning fast, back to a game, put to sleep, wake up, play a game, press home, and so on. It's real subtle, but it makes all the difference compared to the relative sluggishness of the 3DS. The dual sticks , responsive touch pads and save for the shoulder buttons, clicky and all around good-feeling buttons, the Vita's hardware is possibly it's strongest suit. I also love how simple the psn integration is, and how incorporated the vita is into the PSN system. My friends and trophies and the like are all synced up automatically as soon as I sign into psn. which is great. There's no hassle or work around to get things going, they just work. �It's nothing deal breaking if it wasn't so, but it's just a nice nod from sony, to those of us who can afford both the ps3 and vita. Wipeout 2048; a game I recently platinum-ed, is a standout to me. The controls are perfect and precise. The level design rewards aggressive combat play while simultaneously rewarding those who are focused on racing. The online is set up brilliantly too. Each level in the online mode has a set number of nodes, and each node has objectives. You get match made into a group, and to 'win' you just have to complete the objectives of the node. This means a guy at level 40, might need to win a race to complete the node, while you at level 1 just need to play. This system let's the well versed and rookies both progress their online campaigns without restricting the people in the lobby. So finding a match online is fast, and you can always feel accomplished afterwards, even if your mis-matched with better players. Uncharted Golden Abyss; It's pretty good. 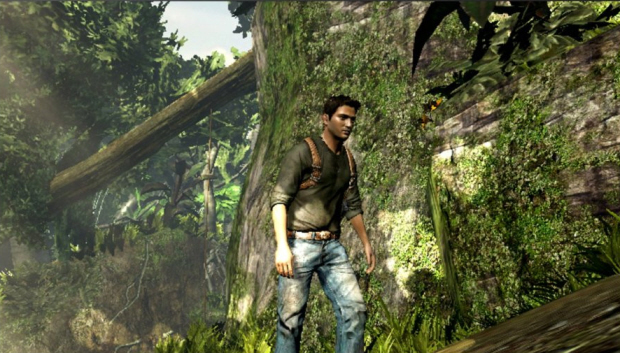 It looks at least on par with uncharted 1, which is quite a feat. It's really impressive when you first load it up. Sadly that's probably the best thing I can say about it. The collection aspect of the series is ramped up to an extreme and it's where a lot of replay-ability comes from. They do this stupid random drop thing from enemies and I found my self farming certain sections of certain levels just to get one or two things to complete a set of collectibles. The chapters are set up in convenient 10 minute bits, which is good for an on-the-go romp, but the game play is pretty bland waves of enemies, and the platforming kind of took a step back from Uncharted 2 and 3, where there it felt more organic, here it feels like it's always a set path to follow. 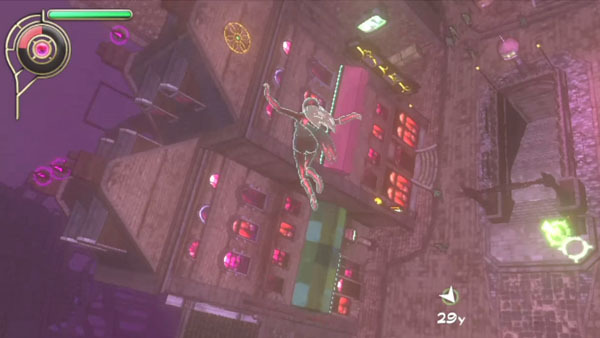 Gravity rush; I'm sure people have heard it before but it's a big surprise. It's an open world fantasy game, where you change your characters gravity around you in a sort of sphere of influence, from there you can fling things, or yourself towards another location. The setting is pretty cool, like a steam punk Jetsons, a city above the clouds in a wash of destopian browns and greys, and the game play satisfy. The characters are pretty bland, hoenstly besides Kat, the leading lady, I don't remember any one elses name. There's a bunch of mini games too, collect all the objects in a certain time, kill as many enemies as you can within this time limit, or race through these gates with your gravity powers. They offer a decent distraction from the main story, and I never felt they took too long or were too difficult while hunting the platinum. There's some RPG bits, where you use points to level up your atk power or hp, so the side quests reward you with more points to spend, but the games not difficult so I don't know how needed they are. So there's some thoughts about a thing.....I really should do these way more often then like once every 2 years.